When my friend tried to convince me to give up my carnivorous ways, she poured almond milk into my black coffee and assured me I wouldn’t notice a difference between that and my usual dairy creamer. Spoiler alert: there’s a difference. I care way too much about coffee to allow that kind of atrocity to happen again. To placate my friend I tried to make a second cup with non-dairy creamer when she pointed out it included sodium caseinate, a non-vegan ingredient sourced from dairy. What’s a girl got to do to get a sweet, delicious cup of vegan coffee? As I reached for the big jug of delicious dairy and chemicals labeled French Vanilla, she guaranteed me there were vegan coffee creamer alternatives that could meet my expectations. It turns out, she was right. I asked my trusted online community, whom I affectionately call my “coffee brigade,” to recommend some vegan coffee creamers to try. These are people who share my undying love for coffee and just like me, care enough to drink only the very best. Today I’ll share my findings with you in hopes you too can find your ideal vegan coffee creamer. What is a vegan coffee creamer? Why is vegan coffee creamer better than milk alternatives? It may seem like a silly question, but unless you are aware of things like sodium caseinate, you could think your cup of joe is good to go, but it’s not technically vegan. If the print doesn’t say “Certified Vegan,” “Suitable for Vegans” or something similar, then check the ingredient list. For it to be a vegan creamer, it must be animal-free; including by-products. Ingredients like whey powder, casein, and modified milk are all dairy by-products that are sometimes overlooked. 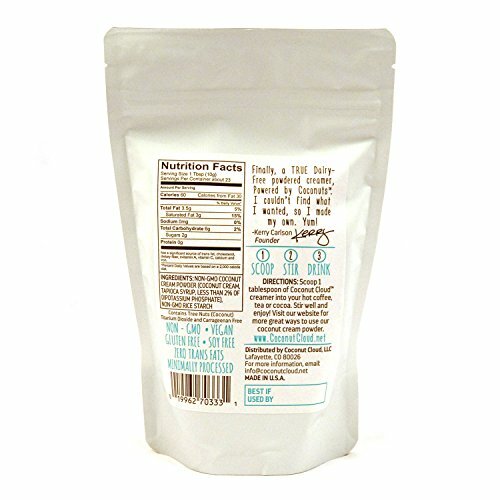 When in a rush, look at the allergy information which is typically bolded on the packaging underneath the ingredients. If it includes milk, eggs, or shellfish, it’s not vegan. While many vegans turn to soy, rice, or almond milk to replace the dairy creamer they used previously; many are disappointed with the result. Once added it appears thin, doesn’t produce the same body of coffee that you’re used to, or sometimes it curdles (gross, I know). Companies have taken notice of this opportunity and created vegan coffee creamer alternatives that offer a more full-bodied coffee experience, without the dairy. You can purchase these vegan creamers online, or find them in the dairy case at your local grocery store, usually in pint-sized cartons next to their larger dairy counterparts. During my research, four names kept coming up again and again: Nutpods, So Delicious, Coconut Cloud, and Califia Farms. For my review, I will give you a brief snapshot of each product, talk about its taste and texture, and then let you know what the coffee brigade thinks about it. Hopefully, by the end of the piece, you’ll decide which one to try. Let’s get started! 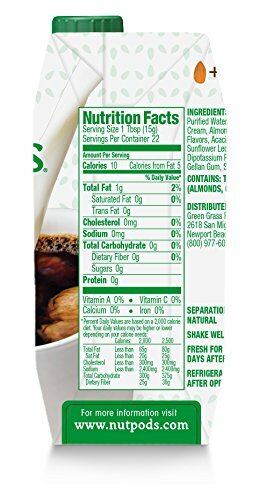 Nutpods is a dairy-free creamer made from heart-healthy almonds and MCT-rich coconuts. 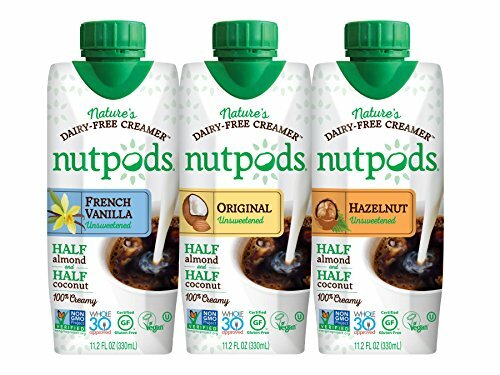 All Nutpods creamers are unsweetened and come in three flavors: Original, French Vanilla, and Hazelnut. My coffee loving comrades love how this creamer acts like a creamer! When poured into the coffee it creates that beautiful beige rather than the diluted brown you get after adding almond milk or sub-par vegan substitutes. The taste is richer and fuller too; and since it is an unsweetened creamer, you can add your sugar or sugar substitute as you see fit. It has a smooth, rich taste with the right balance of almond and coconut without it overpowering your cup. Instead, the flavors cancel out one another so you can enjoy the coffee, not the creamer. One online reviewer noted that while the French Vanilla and Hazelnut flavored creamers are unsweetened, they still delivered a light, sweet flavor. Many online reviewers raved about how creamy their Nutpod experience was versus using other vegan or milk alternatives. It gave them the full-bodied coffee experience they wanted without the dairy or chemicals to get it. Verdict: If you love a creamy cup of coffee with a hint of flavor and sweetness you can control, Nutpod creamer is for you. 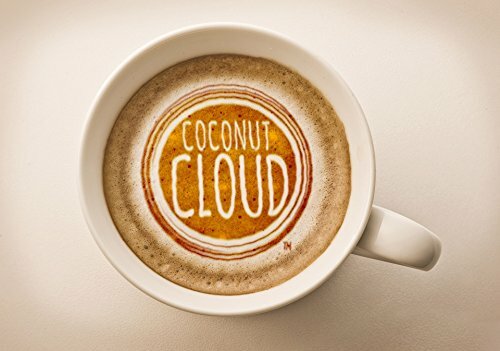 So Delicious as a brand features both almond and coconut varieties of their non-dairy creamers made from organically produced, Non-GMO Project Verified nuts. For this review, I will focus on the Original Almond Milk Creamer and French Vanilla Almond Milk Creamer. Ingredients: Almond milk, filtered water, almonds, dried cane syrup, dipotassium phosphate, guar gum, carob bean gum, gellan gum. Certified: Gluten-free, vegan and Kosher D.E., and Non-GMO Project Verified. There is a nutty finish to the Original Almond Milk Creamer so if you like almonds, you would enjoy this one. For those that like a sweeter cup, reviewers claim the French Vanilla Creamer is just sweet enough without crossing over to the land of saccharine. Most noted the slight almond aftertaste that some tolerated and many enjoyed. Many reviewers commented on the sweetness of the French Vanilla creamer saying that no additional sweetener is needed to create their perfect cup. One reviewer said the consistency is a touch denser than 2% milk but not as thick as a typical creamer. A few said the creamer settled to the bottom of their cup if they let it sit too long, so encouraged others to drink it while it’s hot. Most said they considered it a rich and smooth dairy alternative. The French Vanilla creamer is ideal for people who like the flavor and want to avoid using extra sugar in their cup to make it taste just right. If you like a rich creamer and don’t mind a nutty aftertaste, Original might be the creamer to try. 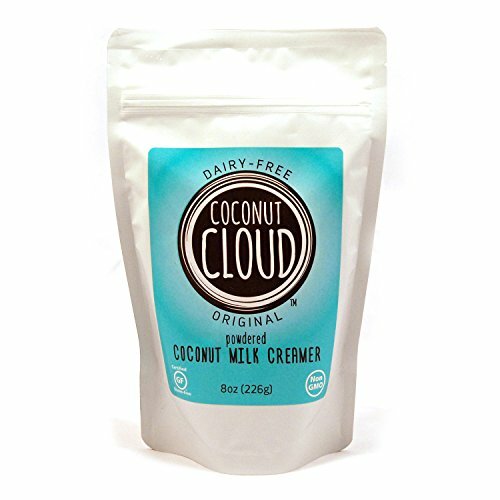 Coconut Cloud Creamer is a powdered creamer that is dairy-free. It has a light, full-bodied consistency without affecting the taste of the coffee too much having only a hint of a coconut aftertaste. Coffee drinkers love this mild creamer for its simplicity and portability. This dried coconut milk product is neither too sweet nor too bland and allows for customization by the teaspoon to create your perfect cup. Since vegan alternatives can be hard to find on the go, customers love the fact they can carry their creamer with them and have it available whenever they need it. To my surprise, many people like this creamer because it doesn’t have any flavor. It allows the purist coffee drinker the ability to taste the beans rather than an almond or coconut aftertaste. Several reviewers said it took a couple of scoops to get it as thick as a normal dairy creamer. Some report issues with the creamer dissolving having to battle lumps as it surfaces to the top. Many said it gives their coffee the full-bodied feel they were looking for in a non-dairy creamer. If you want a creamer without flavor that’s easy to use and portable, this is the right choice for you. 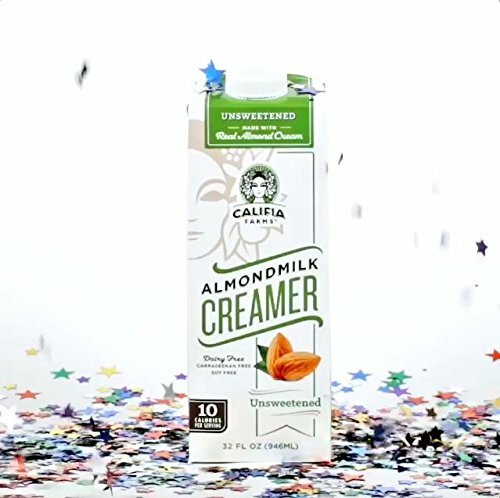 Califia (pronounced like Cali-fornia, Cali-fia) Farms offers a variety of non-dairy creamers for your morning brew. Although it says “Almondmilk Creamer” it does also include coconut cream as well. In addition to the creamers seen above, they also offer a “Better Half” series; a coconut cream and almond milk combination half-pint that comes sweetened or unsweetened. For the purpose of this review, I will focus just on the Almond Milk Creamer. Reviewers claim the unsweetened version is the best tasting of all the varieties. Some were disappointed to taste the coconut in an almond milk creamer, but most said the taste wasn’t too overwhelming. As for the other flavored varieties, people claim it’s some of the sweetest available so if you like that kind of cup it’s perfect. If you just want a hint of flavor, this might not be the creamer for you. Reviewers agree the unsweetened version is the best giving it just the right amount of flavor without having it overpower the cup. One person said it’s almost like almond-vanilla ice cream, and likened it to the Coffeemate creamer for its taste and mouth feel. Some say they wish it was creamier while others say it’s perfect as it is. In general, reviewers gave the creamer good marks for creating a rich cup of coffee. This is a good creamer to try if you are just transitioning from traditional creamers and want to try a plant-based one for the first time. If you love all things coffee, it can be fun to try new beans, an occasional latte or espresso, and yes, even new creamers. The great thing about coffee is there is always the next cup so if you don’t like your first choice you can always try, try again. Plus, it’s a great excuse for pouring another cup. Enjoy! Previous Post: « Chemex vs. French Press: Which One Brews the Best Coffee?